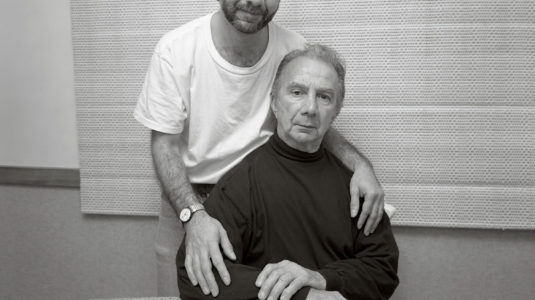 Artists are agents of change. Engaging your eyes, mind, and hands in the studio art major is about developing your creative skills by working closely with our experienced practitioner-faculty. You’ll express your individual perspective on the world around you through drawing, painting, photography, printmaking, sculpture, video, and graphic design. With every work you produce, you’ll place another marker on your path to a creative career. The portfolio you’ll assemble at Clark will enable you to pursue an advanced degree at leading arts and design schools, or begin your career as an artist for diverse industries and institutions, including arts organizations and print, digital, and broadcast media. Why Major in Studio Art at Clark? 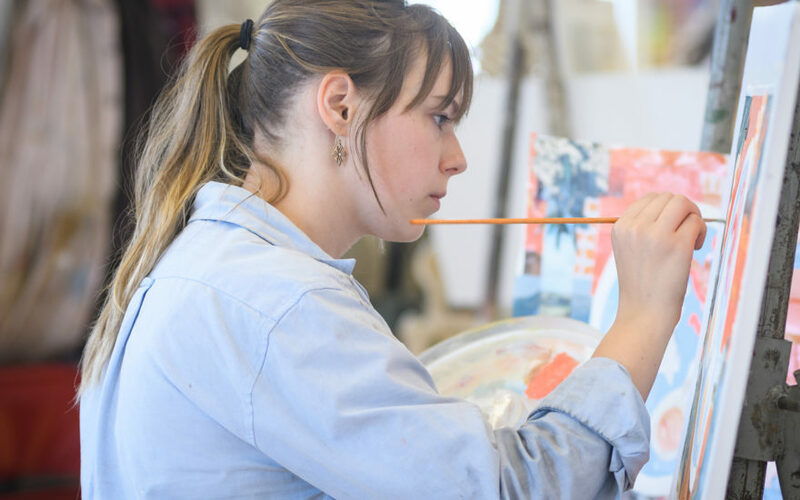 Make art in a supportive liberal arts environment that not only provides options for double-majoring, but also offers a variety of perspectives to fuel your creativity. Create and collaborate in the wider context of Clark’s Visual and Performing Arts Department (V&PA), a tight-knit community that includes students majoring in art history; media, culture, and the arts; music; screen studies; studio art; and theatre arts. Immerse yourself in the Worcester arts scene, connect with local artists, and show your work in a professional gallery setting at the annual ArtsWorcester show. Gain inspiration — and/or intern — at museums such as the Worcester Art Museum; Boston’s world-renowned Museum of Fine Arts, Institute of Contemporary Art, and Isabella Stewart Gardner Museum; the DeCordova Sculpture Park and Museum in nearby Lincoln; and the Museum of Russian Icons in Clinton. Clark studio art majors greatly appreciate anchoring their art studies in a broad liberal arts curriculum, recognizing that a good artist is a good thinker and an engaged citizen. Here you can make connections across disciplines and learn how to use “visual language” to express your ideas, make social commentary, effect change, or celebrate beauty. Students also enthusiastically participate in the cultural life of the campus, city, and region. Courses in the studio art major offer you an opportunity to engage in the study and practice of visual language. Since art is a way of communicating human experience, you learn both to read this language and to visually represent your own ideas. Training in artistic methods and media is provided in the context of intellectual inquiry and critical analysis. If your only major will be studio art, you will take 11 studio art courses and three art history courses. If you decide to double-major, eight studio art courses and two art history courses are required. You begin the major by taking Visual Studies: 2D Design and Color and/or Drawing: Eye, Mind, Hand. These foundation courses introduce you to the nature of visual language and the creative process while encouraging the development of visual expression. After exploring various media, you may concentrate in one area and seek out particular faculty members for personal mentoring. Areas of specialization within studio art include drawing, painting, graphic design, photography, printmaking, and sculpture. You also can study video production, set design, and lighting through related courses in screen studies and theatre arts. The capstone course for the major, Studio Topics, oﬀers you the opportunity to demonstrate your expertise with an independent project, guided by a faculty member. The campus home for studio art majors is Clark’s Traina Center for the Arts, a renovated 19th-century Romanesque Revival building that contains studios for design, painting, drawing, and printmaking; darkrooms for analog photography; and a digital photography lab, equipped with state-of-the-art software and fine-art pigment-based color printers that can accommodate large format images. On-campus opportunities for additional involvement in artistic activity, including ceramics, are available at the University Center’s Craft Studio. Just over a mile from campus is C. C. Lowell, which has been providing art supplies to local artists since 1852. At Clark, your education extends beyond the classroom. LEEP Center advisers can help you choose from a range of opportunities that complement your coursework and put your studio art knowledge into practice. The studio art major is designed to help you learn outside the classroom. Many students take advantage of internship opportunities during the academic year or over the summer to connect what they’re learning with their professional development. Clark is committed to action-based learning, which means as an undergraduate you can join faculty and graduate students in their creative work. Our faculty have expertise in the following studio art subfields: drawing, painting, graphic design, photography, printmaking, sculpture, web design, typography, and video production. Working with Professor Elli Crocker, a student secured a summer studio in Boston, developed a new body of paintings that informed his senior thesis project, and created a public mural for the Newton Free Library. Working with Professor Toby Sisson, a student worked with low-­income and disabled individuals in Maine to make artists’ books, a project that furthered her interest in expressive art therapy. Clark’s annual Fall Fest and Academic Spree Day are opportunities to share your research or creative work — often a LEEP project — with the Clark community. 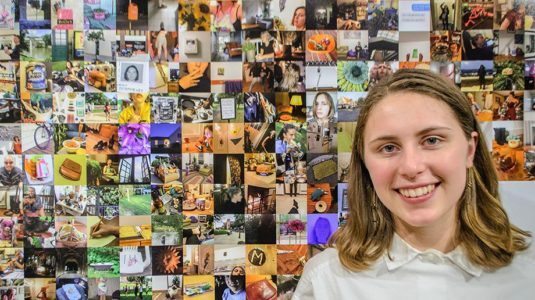 The Studio Art program celebrates Academic Spree Day with an opening reception for its annual Senior Thesis Exhibition in the Schiltkamp Gallery. The exhibition hosts hundreds of visitors while showcasing the creative work of graduating seniors majoring in studio art. Works on view can include video shorts, oil paintings, artists’ books, photographic series, sculptures, and graphic designs. At the culmination of each fall semester, the studio art program holds an open house to highlight the work of current students. The Traina Center for the Arts becomes a hub of activity as the workshop classrooms display the students’ semester projects. Off campus, you can explore opportunities to show your artwork in a professional gallery setting at the annual ArtsWorcester College Show. Clarkies present their work at ArtsWorcester’s annual College Show. Rhode Island State Council on the Arts (grants to organizations), Providence, R.I.
City Arts For Youth, Providence, R.I. Explore the fundamental elements common to three-dimensional works of art, analyze the work of master sculptors, and create your own multidimensional works using readily available, cost-effective materials. “Seed” your imagination! Journey into the natural world to hone your observational skills and experiment with field-drawing techniques and materials. You’ll create a final project in one or more of the media used. See what it takes to curate an exhibit. You’ll work on all aspects of planning and preparing for on-campus shows and related programming, while considering how the decisions you make impact the way art is perceived. Through a learning-by-doing approach, and emphasizing process (the acts of making, looking, evaluating, and remaking) over product, experiment with the fundamental elements common to all three-dimensional artwork. Explore what the Department of Visual and Performing Arts has to offer.